Slix was a Slovenian live CD distribution based on GNU, Debian and Knoppix. Rate this project Michael Hall has announced the release of Endless OS 3.4.0. 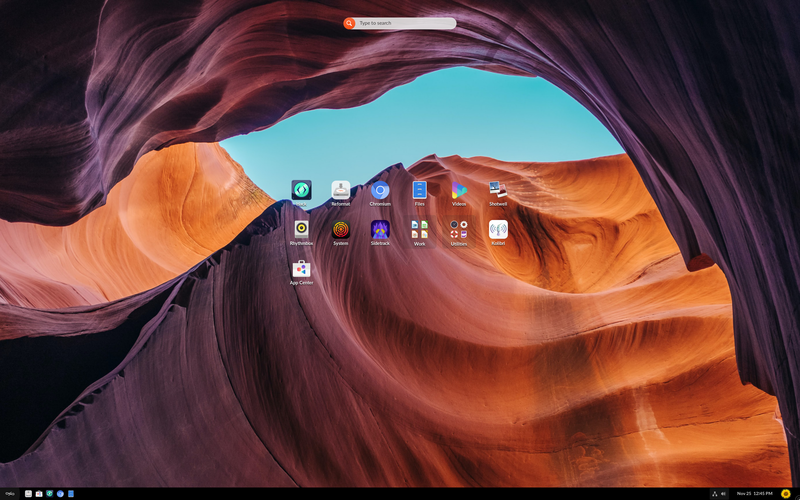 Endless OS is a Linux-based operating system which provides a simplified and streamlined user experience using a customized desktop environment forked from GNOME 3. The new version includes better controls for scheduling updates and introduces a service which will allow Endless OS to share files with an Android device. "Endless OS 3.4 is our latest major release and is a huge step forward in our journey to help you take advantage of an Internet connection when you have it, and be respectful of your limited data plan if that's what you are using to connect. Version 3.4 brings exciting new features to help you manage your data consumption and get updates in smarter ways. We are also proud to announce the upcoming debut of a brand new addition to the Endless product line - the Endless Companion App for Android phones. You will soon be able to use your Android phone to view content from your computer so that more people can benefit from Endless OS' native apps at the same time. With Endless OS 3.4, your computer will now be ready to share content with the Endless Companion App as soon as it is publicly released." Further details and screen shots can be found in the project's release announcement. Download: eos-eos3.4-amd64-amd64.180515-041823.base.iso (1,792MB, signature, torrent). Will Thompson has announced the release of Endless OS 3.5.4, the latest version of the project's Linux-based operating system with a simplified desktop (forked from GNOME 3) and without any package management system. The latest version introduces new parental controls for applications: "Administrator users may now control which apps can be installed or launched by standard users on the same computer. The following controls are available: restricting the apps shown in the app center based on their content rating - for example, if the option is set to show apps suitable for age 3, violent video games will not be visible in the app center; prohibiting installing new apps entirely; restricting access to certain apps which are already installed on the system. In this initial version of the feature, it is not possible to restrict access to built-in apps, including the web browser, file manager, text editor and video player. We expect to enable this in a future version of Endless OS." Read the rest of the release announcement for a full list of changes. Endless OS 3.5.4 is available in several languages; here are the quick links to download the ISO and IMG files of the English edition: eos-eos3.5-amd64-amd64.190111-204710.en.iso (16.2GB, signature, torrent), eos-eos3.5-amd64-amd64.190111-204710.en.img.gz (16.1GB, signature). Endless OS is a Linux-based operating system which provides a simplified and streamlined user experience using a customized desktop environment forked from GNOME 3. The Endless team has announced the availability of Endless OS 3.3.5. The new version makes it easier for multi-language users to switch languages, even before signing into their account. "Here's what's new in Endless OS 3.3.5. Sign-on improvements. We've made it easier for users who mix English and non-English languages in their password to switch languages while signing in to unlock their computer. Improvements to apps. The new version of Flatpak and Flatpak Builder adds new features and fixes many bugs. This means users will see improvements to their apps such as: Missing icons will now appear in some apps like Telegram; prevented a situation where apps wouldn't be able to connect to the internet after changing from one wireless network to another; improvements to language and localization selection." Further information can be found in the project's release announcement. Endless OS is available in multiple languages and the distribution's ISOs are offered through a variety torrents on the project's Download page.